Written for the "Never Trust the Narrator" competition. A crossover between the Umineko no Naku Koro ni/Professor Layton series, Professor Layton and the Turnabout of the Golden Witch is meant to serve as a hypothetical ninth entry in the Umineko series. You play as Professor Layton, who gets taken to the world of witches and fantasy to prove the events that took place on Rokkenjima in 1986 belonged to the world of mystery and reality. As this is meant to be the ninth episode, I highly recommend playing the games or reading the manga first, since this will include spoilers of Umineko episodes 1-8 (in fact, up until you see Layton in the game for the first time, the game will completely spoil part of the ending of episode 8 ). That said, the game was also designed with newer players in mind, so if you don't mind spoilers, there will be enough information included to get you up to speed. It also bears mentioning there will be some spoilers for Professor Layton and the Unwound Future, but not quite to the extent of Umineko. ...but seriously, go play the original games or read the manga first. It will be well worth your time. If you haven't played the original games yet, I highly recommend picking up the official English release on Steam. This release includes an updated English translation, as well as the original Japanese text (which is nice, since there are a few subtle nuances in the dialogue here and there in the original that don't translate well to English at all). It also includes the original artwork as well as "updated" artwork. However, if you have space on your computer for it, you may want to look into the PS3 sprites/backgrounds/voice acting patch. Not only will you get some fantastic voice work, but you'll also get to see the full-resolution version of the backgrounds and sprites I'm using in Turnabout of the Golden Witch. Last edited by TheDoctor on Thu May 04, 2017 5:35 am, edited 14 times in total. Whoops, that's embarrassing. Okay, it's fixed now. TheDoctor wrote: Whoops, that's embarrassing. Okay, it's fixed now. Happens. We're human after all. Not a... golden witch! Started a development blog on Discord. I'll be updating it occasionally with progress reports, random thoughts about the development process, and the like. 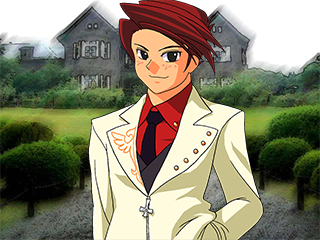 I'll try to keep the general channel as spoiler-free as possible, although if anyone's played what I have so far, and they're familiar with Umineko, I can add them to the spoiler channel in case they want to offer advice, or just discuss the original games and/or this ninth entry. Added a link to the Steam release of the original games in the OP. Figured people might want a little help finding the game and PS3 patch if they've never played it before. The prologue is more or less complete now. There are a couple of adjustments I still need to make, though, so since they're quite likely to break your save files, I've temporarily disabled public access until I can finish making those adjustments. In the mean time, I'm accepting playtesters, so PM me if you want in on that. 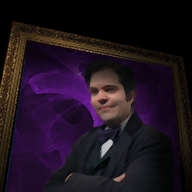 Playtesting is complete, so the full version of the prologue is now complete, and public access has been granted. It's around 2000 frames long, so if you have any concerns about it being too short to get into just yet, don't worry about it. Critique is appreciated, just make sure if you post any SoC's with anything that would spoil Umineko's solution needs to be clearly marked. Beyond that, have fun! EDIT: I just realized I'd forgotten to include some important info in the dialogue, so I had to add a few frames. This might end up breaking your save file, so please use the chapter select. If you're curious where the additional info was added, PM me and let me know where you left off, so I can let you know if you would have passed that point yet. Well, there are some intriguing meta bits. Aside from that, the story seems to only just have begun, so I don't have many thoughts on it yet. You managed a faithful recreation of what the beginning of an Umineko episode plays like, though the actual gameboard part mostly reads like recycled scenes so far. Nice transition effects though. The presentation in general is pretty nice, with all the trivia available in the court record. I'm certainly intrigued where this is actually meaning to go now that the pieces are in place. So, I gave this a whirl. I've never seen more than maybe a dozen minutes of Umineko itself, though I'm vaguely familiar with the franchise and how it rolls. 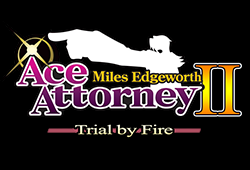 So, I may as well mention my impressions of the case. 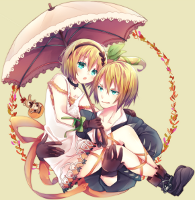 It'll be in spoilers, since I'll be spoiling both this fancase and the end of Umineko itself. I guess you could say I both love it and... well, I didn't hate any parts, but I guess there's stuff I don't love as much. I love the puzzles and the presentation. The puzzles were pretty challenging, and I'll admit I didn't get most of them. But still, I can't help but appreciate a really clever trick! Though I guess it's possible these puzzles are actually all from Umineko, and it seems like at least some of them are, given the references... still, constructing the puzzles within the AAO engine is a feat, so that's worthy of praise! The presentation's awesome, too. I mean, scrolling text? I don't know what it takes to make that happen (GIF? APNG? ), and when I don't know how something works, I tend to feel impressed, so... yeah! And you brought in a bunch of the Umineko voice clips; I dunno what finagling it took to make the timing work, but it turned out really nicely. The imagery's cool and evocative too, like with that... lightbulb clock? I don't know if there's a fancy term for that or not. Along with presentation is writing, which I enjoyed. The jokes you put in were fun (I liked the "Age Appropriate Order" bit with Dlanor quite a bit) and helped break up the tension when it built up. Professor Layton feels like himself, and he and Luke make for a nice contrast to the Umineko cast, I think. Unfortunately, I couldn't quite wholeheartedly love it, but for a reason that's really no fault of your own. While I like the parts with Layton, I find the Umineko stuff to be something of a slog. I dunno why, but I've just had trouble with getting through the beginning of Umineko. 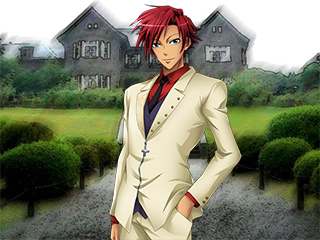 It's why I've never finished playing through Umineko. There's just so much text... and it's so long... I can't help but find it to be too much. 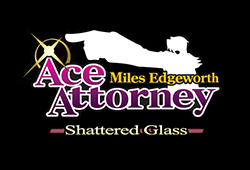 So I didn't enjoy that part of the case so much, though that's not on you; you were just following the Umineko pattern, and otherwise the whole thing, I'm assuming, wouldn't work. Overall, it's interesting. When more comes out, I'd be happy to check it out. 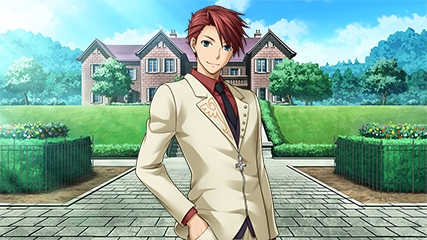 Even though I'm only passingly familiar with Umineko, I actually found myself liking this a lot. Enough information is given about the characters and their relationships with each other to get those not as intimately familiar with them up to speed. The prologue does what good prologues do: Introduce the setting, the characters, and the initial beginning of the story. It might take quite a while to do so, but with a large cast of characters needing to be introduced, that can't really be helped. The puzzles are pretty good, and in keeping with a lot of the not TOO hard puzzles in the Professor Layton series. And some of them are almost 'trick questions', but of course all they require is just reading the exact text of the premise carefully. The whole bit with Dlanor Knox calling out various Professor Layton games on their violations of Knox's Decalogue was hilarious. 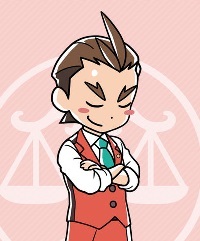 I'm sure most of us can point out that the Ace Attorney series routinely violates Knox's Second whenever spirit channeling, psyche locks, or Apollo's 'perceive' ability are used. Speaking of which, I liked the version of Knox's Decalogue shown here. It seems like a reasonable updated version, with some needed clarity to some of the guidelines. The incorporation of the sheep/wolves puzzle made sense. When people are taking long trips, sometimes they'll work on puzzles to pass the time, and afterwards they might talk about the possible answers and the intended answer. (And yes, I'll admit my first answer didn't take into account certain wording of the puzzle premise, because I'd seen so many other examples of the 'take animals across the river/bridge' puzzle done straight, as opposed to subverted as seen here). The deja vu bit made a lot more sense once we got to the 'alternate scene' bit at the end of the prologue. Of course, Dlanor's initial objection to it, and how they had to reassure her it didn't play a part in the actual mystery, was another fun bit. All in all, I'm looking forward to seeing what else comes from this crossover. The prologue is definitely promising.... I love both Umineko and Layton, and this feels like both, so I'd love to see this continue. The gameboard section captures the usual Umineko opening quite well, and the introduction of puzzles feels more natural than in the Layton series. I love the references. 'Age Appropriate Order', the calling out of the Knox violations in Layton games, etc. Curious to see where that will go. The way the puzzles are incorporated, even including the hint system, is amazing.